Today, I finally built a ½ λ dipole for 4m. I have previously been using a folded ½ λ dipole made out of 450Ω balanced feeder, suspended in the loft, which is not ideal. 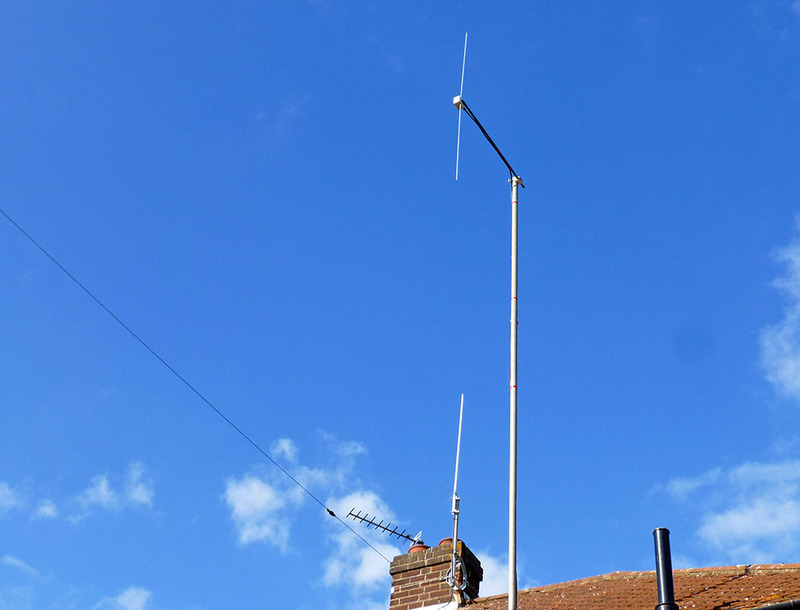 I still had the coax outside on the roof and the pole which were both used previously for my 2m/70cm co-linear, which has been relocated to the chimney, so once it was built, it was simple enough to put up. 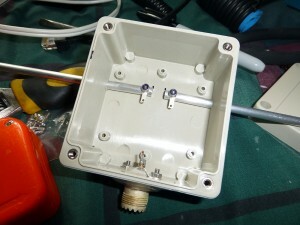 I was thinking about building an end fed half wave dipole, having previously built a ‘prototype’ which worked well. This requires a matching section at the base, but no boom arm is needed. I also thought about a slim jim / J-pole, but the total length would be 3 metres. So, I decided to go with a trusty ½ λ centre fed dipole. 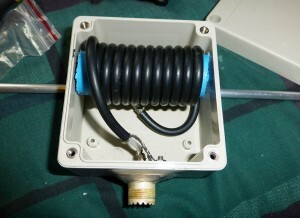 I built it using two 1 metre lengths of 6mm aluminium tube, and all terminations are inside a waterproof electrical box. 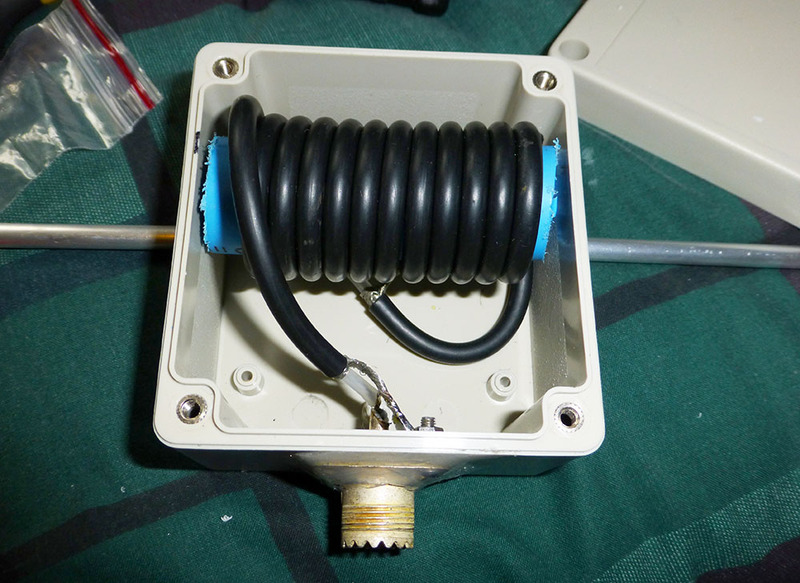 Inside, I also placed a coax choke balun, which is built out of a 25mm piece of pipe, with 11 turns of RG58 coax wrapped around it. Hope to work you on 70MHz! John. Thanks for the description, I now built one as well, suspended in the loft! Nice Michael, perhaps work you soon on 70MHz! Should be OK, if you can fit it in! Noise level might be a bit high.